Inch of Creativity: Yummy New Product! O-mi-goodness, I'm getting so excited for the new catalogue to launch... Did you know that it launches in 5 days! YES! 5 DAYS! June 2nd is just around the corner and it can't come soon enough. On the week-end, I was actually able to get some stamping time in with my friend Anne G. I figured, I'd pack up a few items, go over, play and then go home with... nothing created... seriously! Anyone else have this issue? Well, was I wrong! Anne is a stamping machine! We wanted to make samples for our blogs and she had it all planned out, on how we were going to accomplish that! One way, was for us to play along with a card sketch challenge. She pulled up this sketch from Freshly Made Sketches and off we went! Here is what I came up with and... it uses new product from the up coming 2014-2015 Ideal Book & Catalogue! Do you love the Colours!?! The Patterns!?! The Images!?! THE RIBBON!?! O-mi-goodness, I love it all! The purple and yellow are new In Colours: Blackberry Bliss and Hello Honey! 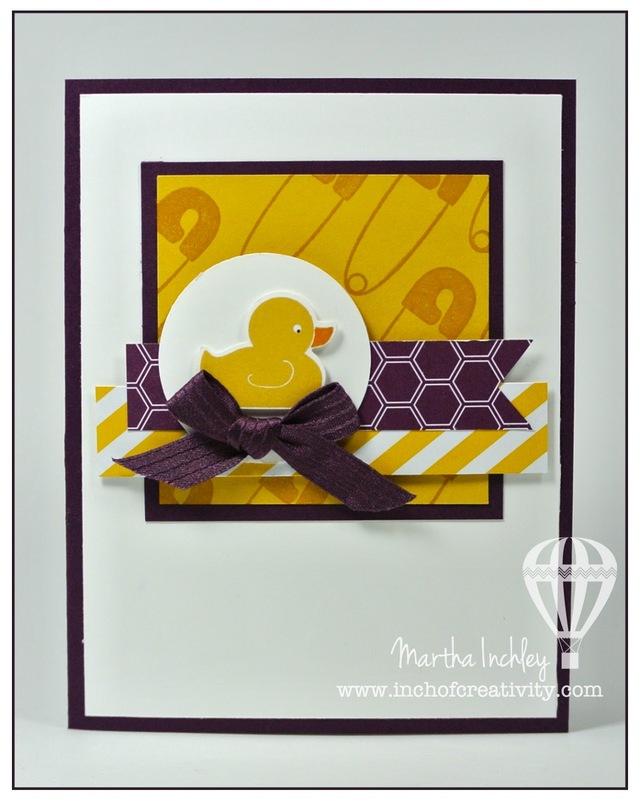 The duck and safety pin are 2 stamps from the awesome new stamp set: Something for Baby (I now need to get this!). 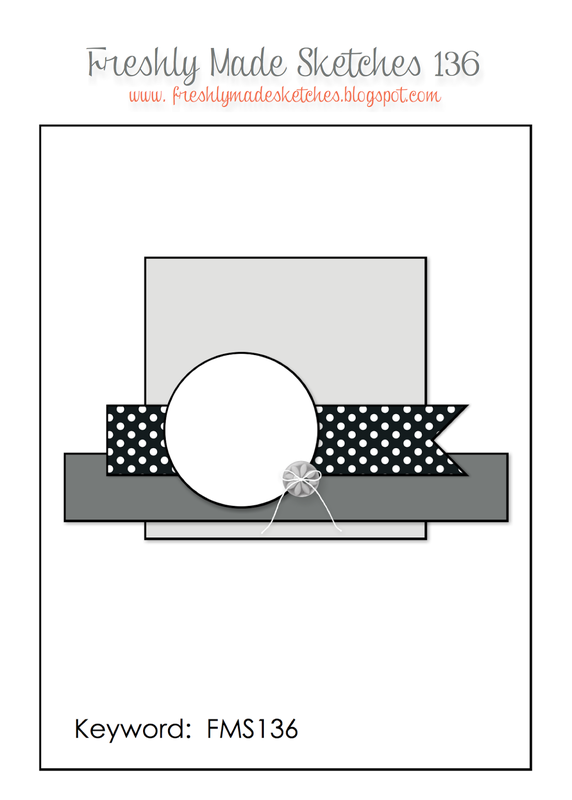 The DSP is from the new paper stack: Moonlight and the ribbon is a new Stitched Satin ribbon, available in the new In Colours! Did you notice the ducky? Yep! There are matching framelits to go with that stamp set! So exciting!!! Well, hopefully this has gotten you excited for the new catalogue and has inspired you to try your hand at a few card sketches as well!